Sensing the rising demands for affordable handheld devices, Archos, popularly known for its tablets and portable media devices, has recently entered the smartphone market by releasing three new smartphones this year. The Carbon 35, 50 Platinum and 53 Platinum. The Carbon 35 is the low-end model having a 3.5 inch display with very minimum technical specifications. 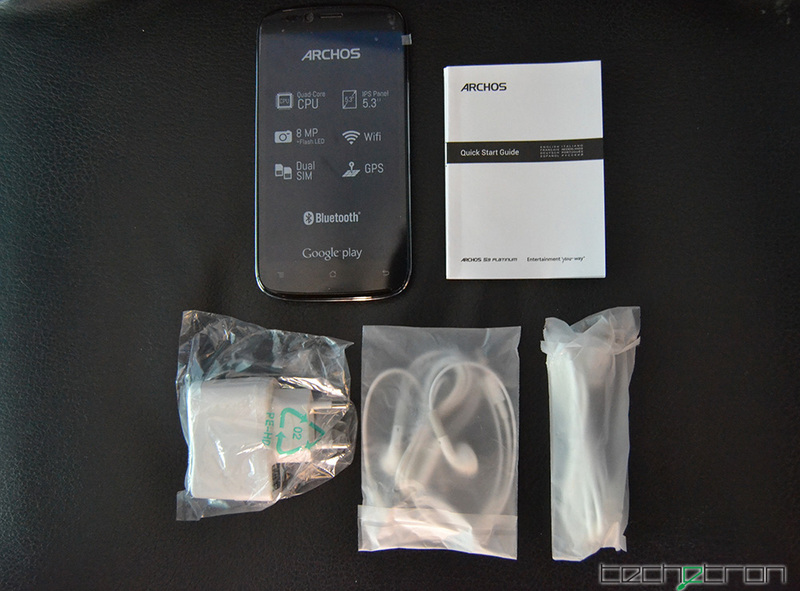 The Platinum versions, 50 and 53, are the “higher-end” (for Archos) models carrying the same specs with the only difference between them being the screen size. 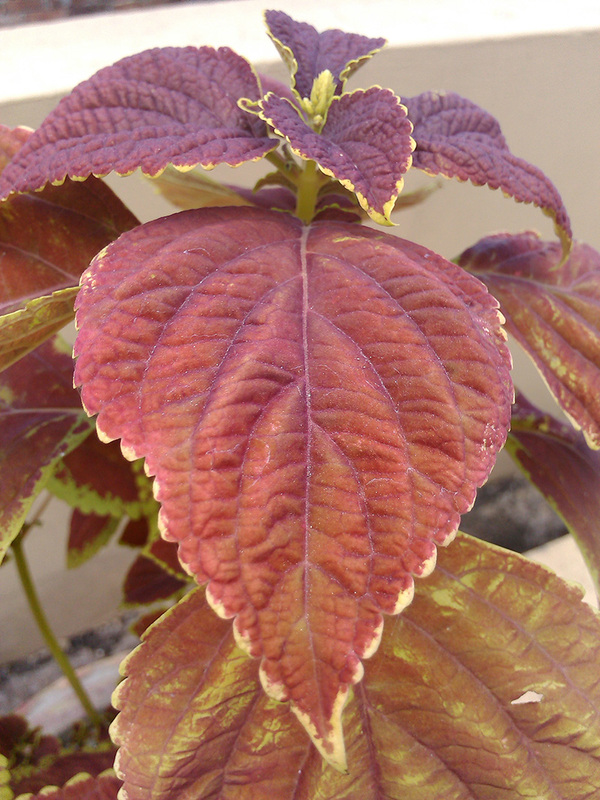 In this article the spotlight is on the gigantic 53 Platinum. Although its high end for Archos, the phone is still a mid range device by the industry’s standard. It is a mid range device that is meant to be affordable. 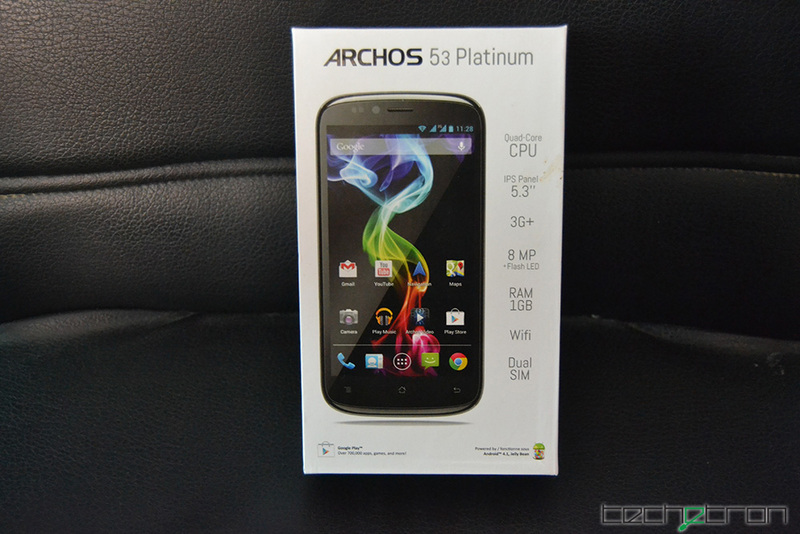 Let’s have an in depth look at the Archos 53 Platinum. 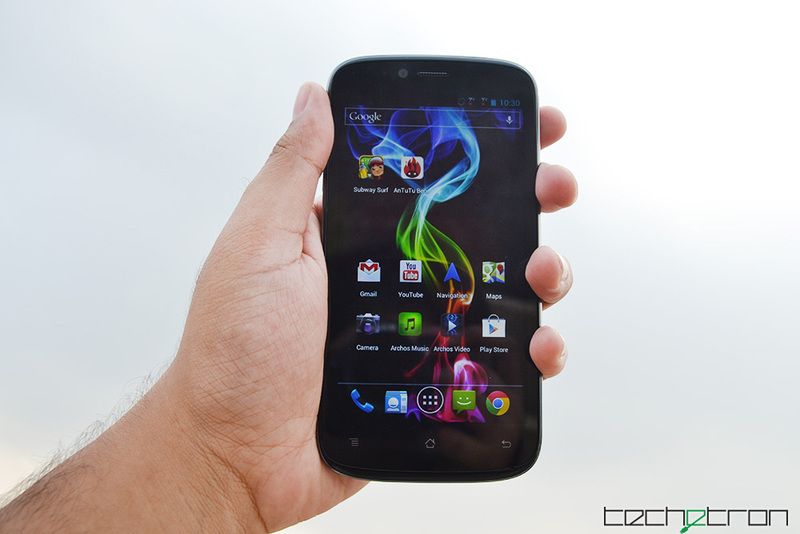 At first sight the Archos 53 Platinum looks like a hybrid version of Galaxy Note I and Google’s Nexus 4. 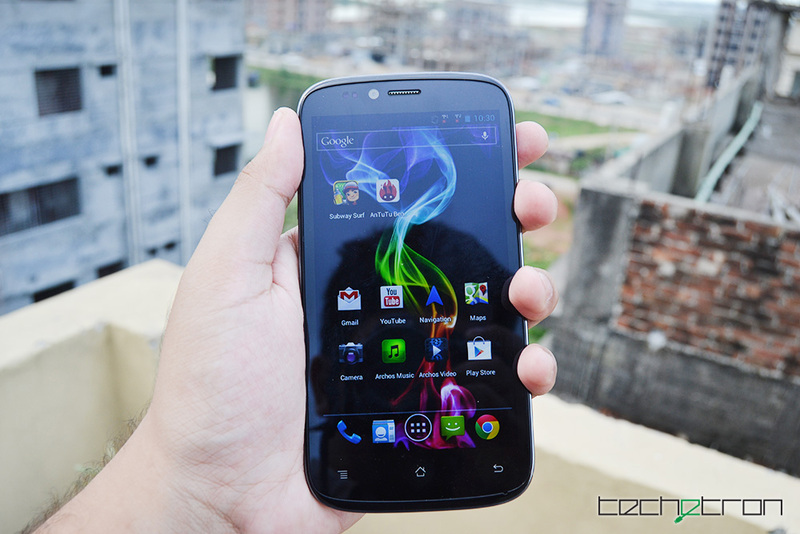 It is however larger than the Note I by 6mm and sports the rounded corners similar to that of the Nexus. In the box you will be receiving a battery, charger, headphones, user manual and a warranty card. At first when I held the phone, I was surprised to find it very light. Later, I realised the battery wasn’t inserted yet. Oops oh well. After inserting the battery, the real weight was felt. In terms of handling the device, I found it relatively comfortable and it was possible to swipe and scroll from top to bottom at ease even though it had a large 5.3 inch display. No difficult finger flexing was required to operate the device. The bezel around the screen is thick and the display doesn’t cover the full space which however can be negligible considering it being a mid-end smartphone (will be discussed in the hardware section). The device measures 153.65mm in length, 78mm in breadth and is 9.25 mm thick. 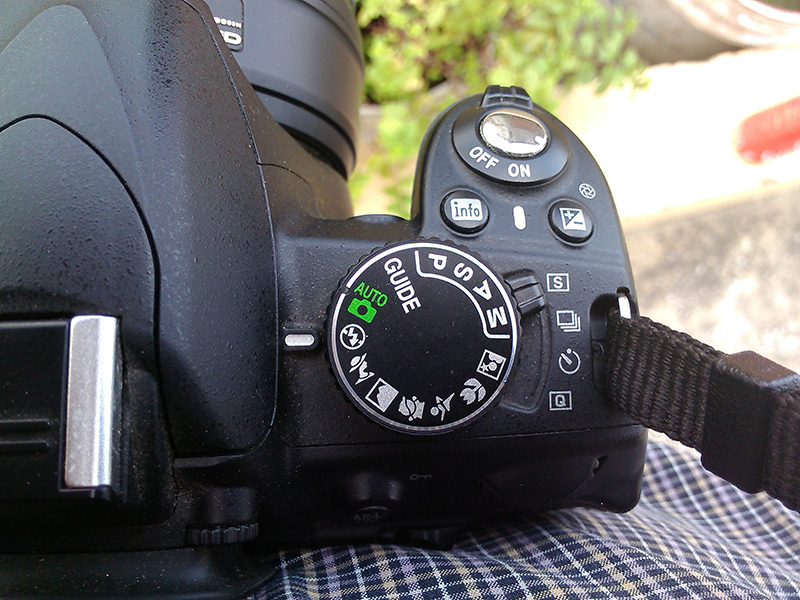 In terms of button placements, the power button is placed at the right with the volume control buttons on the left. The headphone and the micro USB ports were both placed on the top leaving the bottom free of ports. It was slightly odd to not have the micro USB port at the bottom like usual. At the rear, the camera is placed at the top center with the LED flash beside it and the speakers are placed at the bottom. Hope in the future they would have the speakers placed at front as back speakers diminishes the volume of the sound whenever it is placed on top of anything. 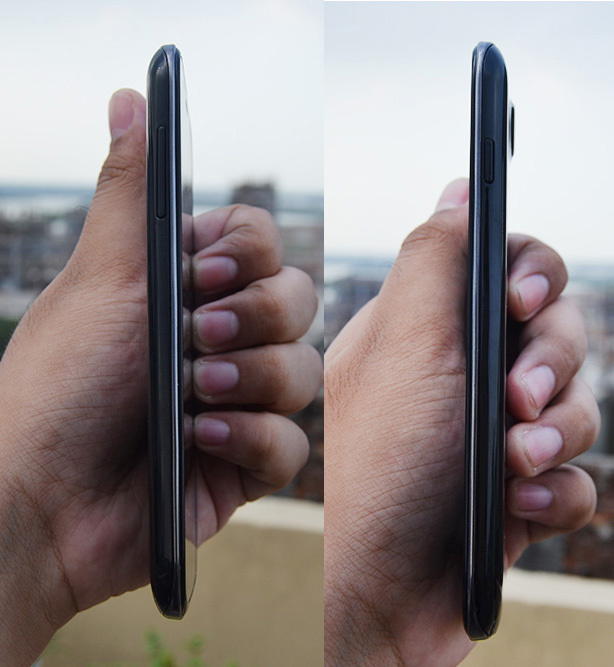 Like it or not the rear case, which is of course plastic, is a magnet for fingerprints. 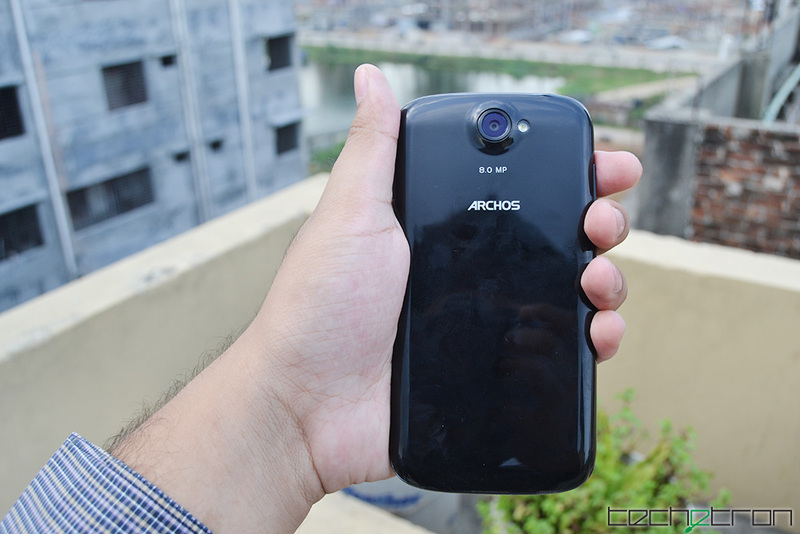 Good thing, Riverside Trade Link who are the official dealer of Archos in Bangladesh will be bringing in cases which might be a solution to this problem. As a mid-range device, the display of Archos 53 Platinum is satisfactory and there is no scope to expect the device to be featuring a Full HD Display. It comes with a gigantic 5.3 inch multi-touch capacitive screen with resolution of 960 x 540 (qHD) featuring IPS technology. They could have increased the resolution to 1280 x 720 to enhance the display even more. If you love watching videos regardless of it being a Full HD movie, you would find it very enjoyable since it has a large screen. The 53 Platinum device is armed with Qualcomm 8225Q Quad Core Cortex A-5 processor running at 1.2GHz with 1GB of RAM. I ran the Antutu Benchmark test on the device and it had a score of 11243. 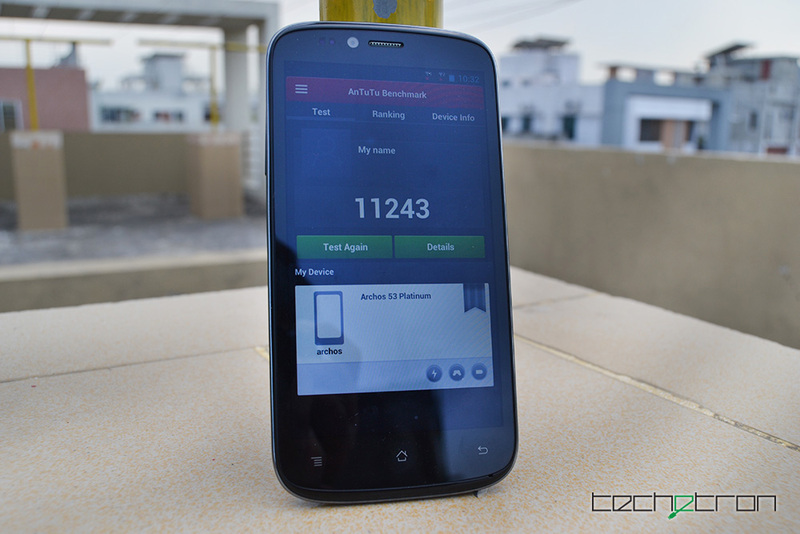 According to the bar graph, the device is ranked between the Samsung Galaxy S2 and and the HTC One X. Running another test in Quadrant also revealed the same results. Most importantly, this device comes with dual SIM options, one for 2G and the other for both 2G or 3G. Out of all the features, I loved the performance of the device although it has a low benchmark score. After interacting with the device for a long time, I found it to be pretty lag free. Swiping around home screens and opening applications worked like a charm. The screen rotation was also very responsive. Surprisingly a phone like the Galaxy S4 I had to either shake or wait 4 seconds to make it register the change in orientation. Unlike other smartphones, this device actually runs on stock Android – completely unskinned. It does run on the slightly older Android 4.1.2 Jelly Bean though, but even then it still gives a solid performance compared to other mid-range smartphones. Hopefully Archos would be rolling out updates to the new Android versions. Performance of the apps, be it productive or gaming ones, was decent. The display plays a big factor and hence, it loses appeal right there. Otherwise, it would have felt awesome if the resolution could have been increased a step further. But then again, expecting more out from this affordable smartphone would be an injustice. In terms of call clarity, the sound was clear and crisp. No complains or more expectations on that. The device comes with a large 2800 mAh battery which gives it a standby time of 264 hours. Talk time for the 2G SIM stands at 21 hours and for the 3G, 15 hours. The device has a storage space of 4GB and is promoted as such but I could only see 1.5 GB of space available for the user to use. Good thing the device supports MicroSD which can be used to expand up to 64GB of space. At the rear, the device comes with a 8 megapixel camera with auto-focus and LED Flash and a 2 megapixel camera at the front for making video calls. The camera interface is basic Android and comes with 4 modes: Auto, Sport, Night and Portrait. You can record videos in 720p and if you feel that you are running out of space, you have the option to lower down the video quality to either 480p or VGA. 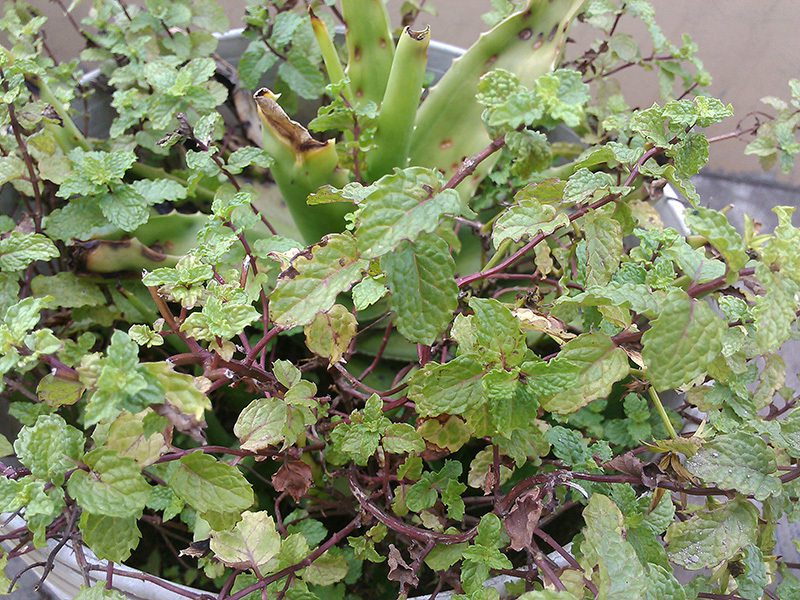 To give you an example of the picture quality, here are some pictures I snapped with it. If 5.3-inch display is too large, you can go for the Platinum 50 one where the only difference is the screen size. The Platinum 50 comes with a 5-inch display leaving all other specifications intact. The Platinum 53 normally retails at Tk 22000 from Riverside Trade Link but they are currently going through a promotion where they are offering the device for Tk. 19,000! Sounds like a good deal. Let us know your thoughts on this great smartphone.